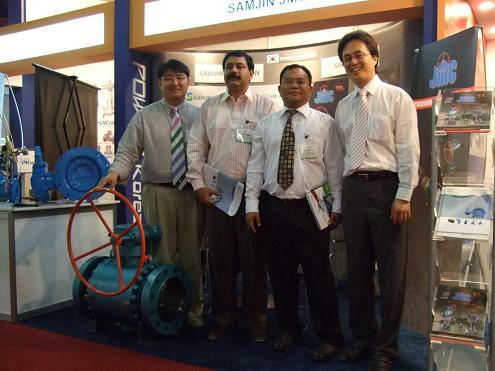 Samjin JMC and Samjin Precision successfully participated in WETEX 2008 with the help of Korean Power Co., Ltd. who is one of our valuable customers. In this show we had a good chance to promote our products and meet many potential customers in the middle east. KOTRA also supported us to meet many good local customers at Dammam, SA and Abu Dhabi, UAE.